Real de Jalpa, S.C. de R.L. 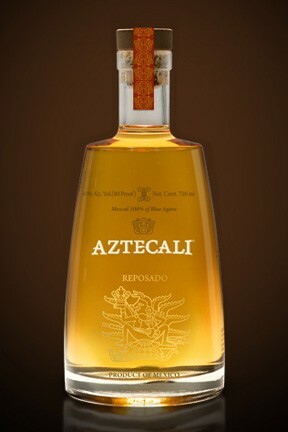 de C.v.
Aztecali Mezcal Reposado is crafted from 100% Blue Agave and rests 10 months in white oak barrels. Deep golden yellow, aromas of maple syrup and fruit, with notes of roasted nut, pepper and spices. Real de Jalpa currently has their own Blue Agave plantation in Zacatecas, Mexico. Only Blue Agave (Tequiliana Weber) is planted and maintained by expert Jimadors. Each Agave is grown until it reaches optimal maturity, which takes from six to eight years before harvesting. The Agaves are steam cooked in large autoclaves, and then shredded / pressed to remove the juices. 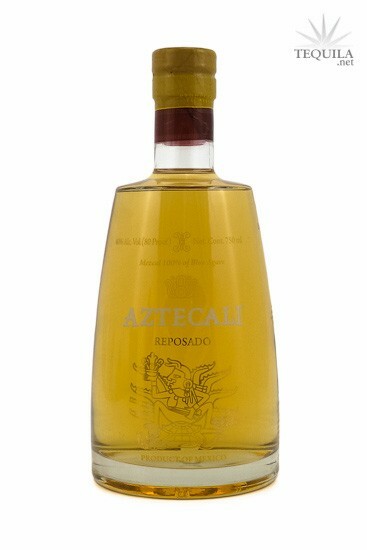 Aztecali Mezcal is double distilled and rests in white oak for 10 months. This Mezcal is similar to Tequila and produced with more modern production methods with Blue Agave from Zacatecas. This is not what you would expect from typical Mezcals and does not exhibit smokey characteristics due to cooking the Agave above ground. 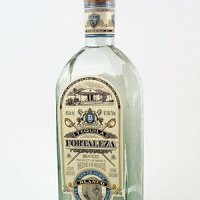 Aztecali is a great example of modern Mezcal. Aztecali, nose of citrus and mint. Taste offers a hint of wood and a tropical feel. Aztecali can be mixed in cocktails and can be sipped on. For $35, it's worth it.